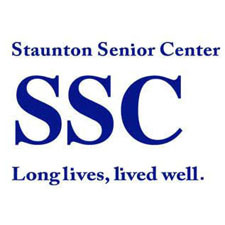 Staunton Senior Center members had the opportunity to explore destinations outside of the area through a program and an outing provided by the Center. The first fun “outing” was to Disney World in Florida, a trip complements of Bob Wright of Staunton. Bob and his wife Cookie have visited Disney World over ninety times, so he had much to share in his presentation entitled “The Magic of Disney”. It came to light that his audience was not satisfied with an hour of information, so his program was actually only part one; Bob will continue his “travels” with SSC members within the next few months, possibly providing an entire program on the wide array of foods available at Disney. Along with displaying a myriad of gorgeous photos, Bob provided practical tips for listeners should they or someone they know decide to make the trek to Disney World, all of which whetted the appetites of those in attendance! An outing after lunch took six members to downtown Staunton to H. E. S. Oriental Rugs where they met store owner Ghiyasunden Sadr from Afghanistan. Sadr, who moved to the U.S. in the 1980s, collects rugs from places such as China, Pakistan, Iran, Iraq, India, and Afghanistan, and he boasts more than 900 different rugs in his shop. Members enjoyed hearing about the process of making the carpets, viewing the various designs, hearing the stories behind the rugs, and traveling in their minds to the far away places from which the creations have themselves traveled. The fact that Sadr plays chess came up in the conversation, so the storekeeper may pay a visit to SSC to play chess with one of the Center’s oldest members who is always waiting for a worthy opponent to enter the doors!